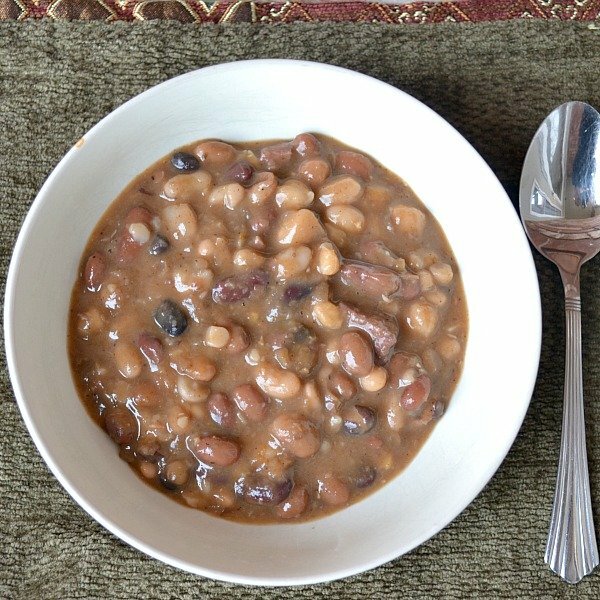 Hurst's 15 Bean Soup for Instant Pot! Hurst’s 15 Bean Soup for Instant Pot! For the coldest days of winter, a hearty bean soup just hits the spot. Last week I made this Hurst’s 15 Bean Soup for Instant Pot, and it was a hit! It’s a bit spicy, so if you have kids you may consider leaving the Cajun spice packet out, but ours was perfect just as the recipe said! 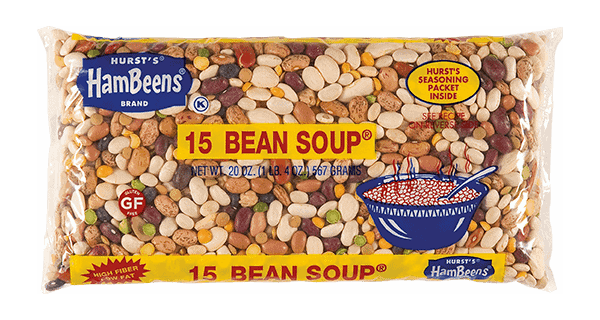 If you haven’t heard of Hurst’s 15 Bean Soup, it’s in the dry soup and bean aisle at the store. The 1 lb package runs about $2-$3 and would feed about 8 people. You can add any meat you choose but the package recommends ham or pork. I made it with regular cooked ham, which was on sale after the holidays. It would also be great meatless if you’re following a vegetarian diet. 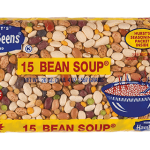 The 15 Bean Soup mix is also Gluten Free. I also added a few diced veggies but this is up to you. I had onion, celery and garlic in the fridge so they went into the Pot! This recipe can be made in any slow cooker but as you may know, I just got an Instant Pot! I am in the process of trying out actual instant pot recipes, but also liking the idea of adapting slow cooker recipes here and there. The main advantage to the Instant Pot for this recipe is the shorter cooking time. This cooked in 35 minutes (plus heating time which took about 10-15…I didn’t count it, and also a natural pressure release time of 15 minutes). So, all together this was ready in around an hour of cooking time. Not bad! 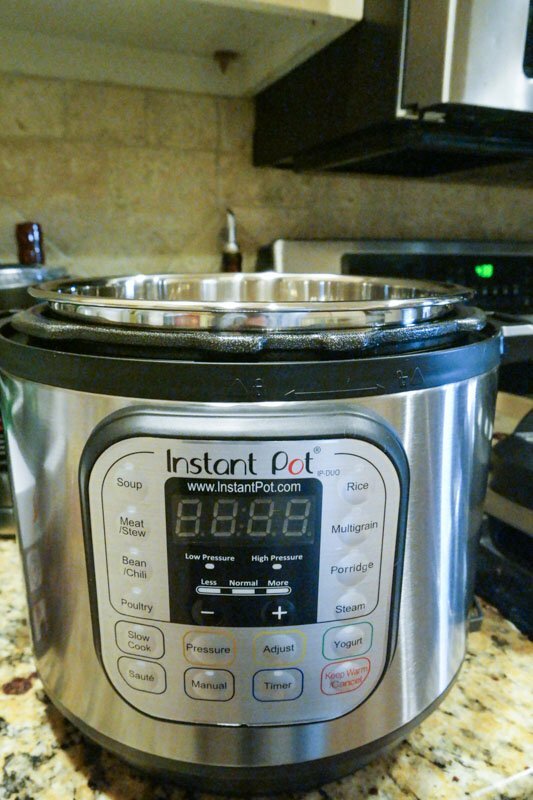 Click here for more on Instant Pot and to shop. Note: This recipe has been tried once by me and I may adjust it more as I make it again in the future. If you prefer a thicker soup, be sure to remove about 2 cups of the beans (I used a slotted spoon) and puree them. Add back into soup mixture and stir until the pureed beans are incorporated and leave the Instant Pot on warm. The starches in the pureed beans will thicken soup nicely. If you do this step you should probably allow the soup to sit for some time in order to thicken. I let sit for around 15 minutes and it was fine. Hope you can try this and enjoy! 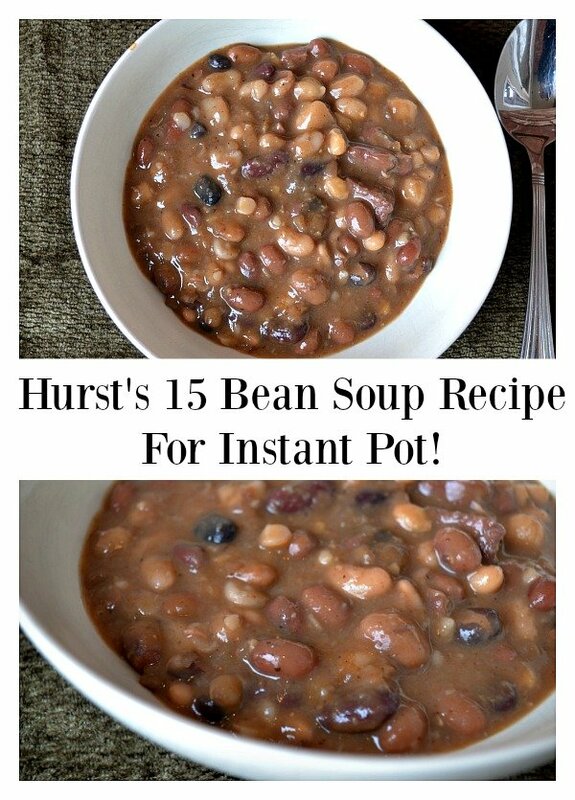 Hurst's 15 Bean Soup Recipe for Instant Pot! Add Cajun Seasoning Packet and stir. For thicker soup, remove 1-2 cups of beans with slotted spoon and puree. Or puree with immersion blender. Stir pureed beans back into soup and let sit 15-30 minutes or until thickened. 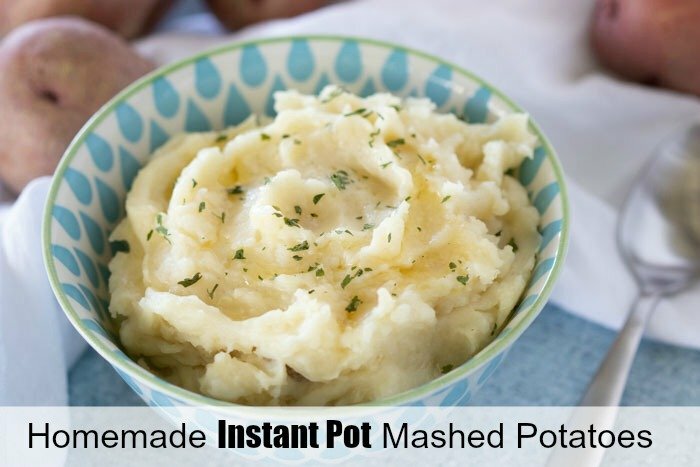 Take a look at my Homemade Instant Pot Mashed Potatoes! I am loving these Instant Pot recipes since it’s so hot right now and I don’t want to heat up my kitchen! 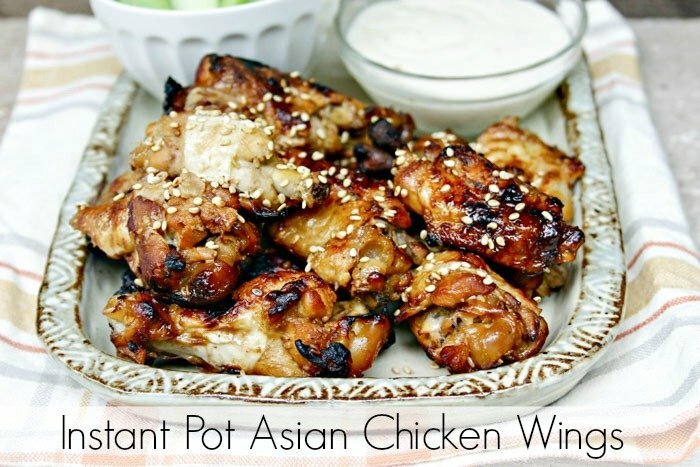 See my new Instant Pot Asian Chicken Wings Recipe for a delicious dinner at home this week. This No Lard Instant Pot Refried Beans recipe is much healthier and is so good, you will never want to buy refried beans in a can ever again. 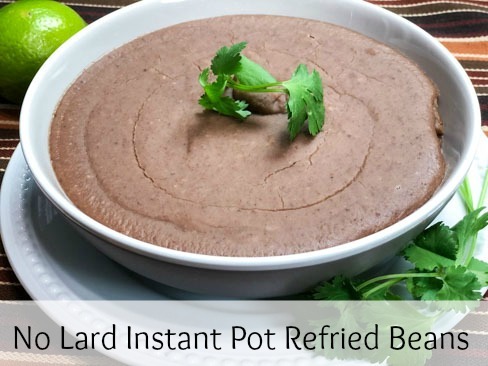 Check out our No Lard Instant Pot Refried Beans recipe below. 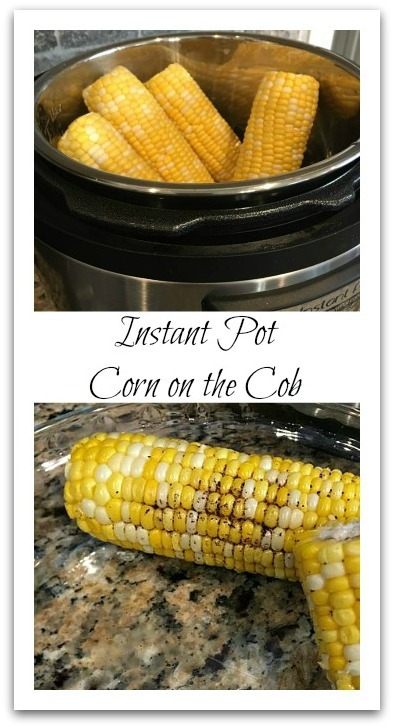 Learn how to make Instant Pot Corn on the Cob. Added 1. 14oz can of diced tomatoes.great taste! Added a14 oz can of diced tomatoes. Great flavor! Thanks so much for your comment! I was thinking of making this again soon, and diced tomatoes is a great addition.